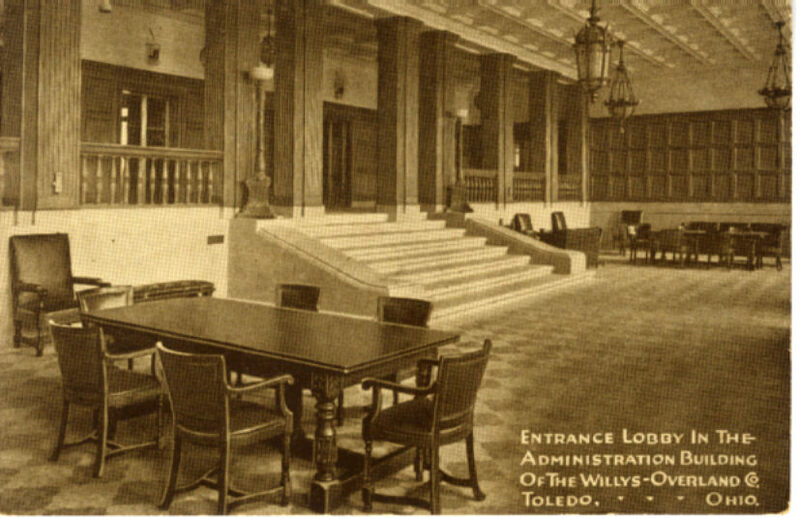 When John North Willys purchased the Pope-Toledo factory in 1909, the main administration building was a simple frame building. Demand for Overland cars continued and the factory expanded rapidly. By the time 1915 came, Willys-Overland was ranked second only to Ford in the number of cars produced. In 1914, John North Willys decided to build a replacement administration building in a rather grand style to show the status of Willys-Overland in the automobile industry. No expense was spared. 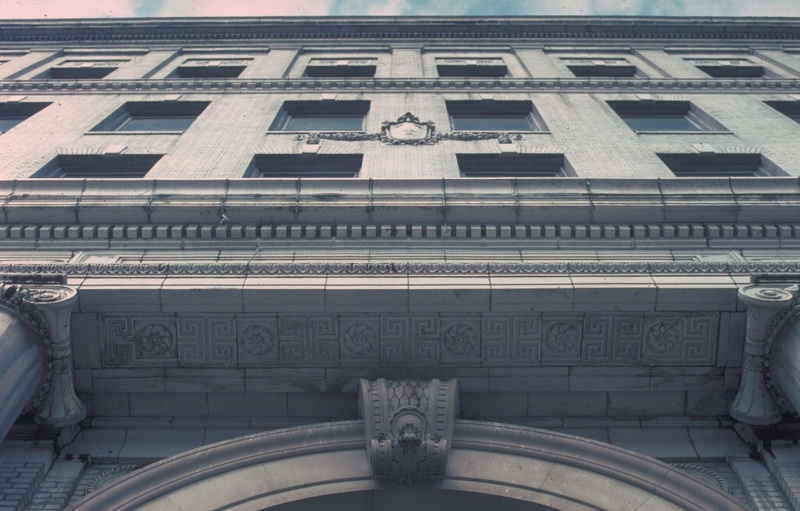 The building was built on a monumental scale to house the hundreds of office employees. It was 373 by 63 feet, and 120 feet high for seven stories. It was all to be "fireproof" construction -- steel, brick, stone and terra cotta -- and had five elevators. 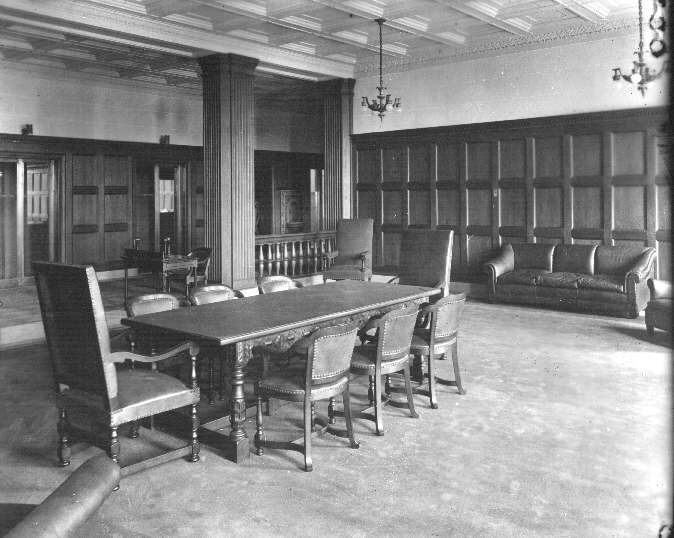 Offices and boardrooms were carpeted in wool and paneled in oak and walnut. Painted tiles decorated the cafeteria. 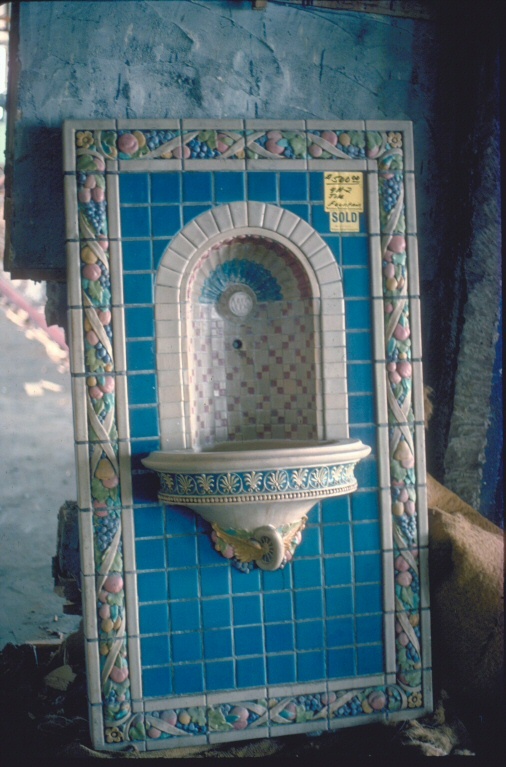 Multicolor Rookwood pottery drinking fountains and Art Nouveau lighting fixtures of bronze were installed throughout the building. 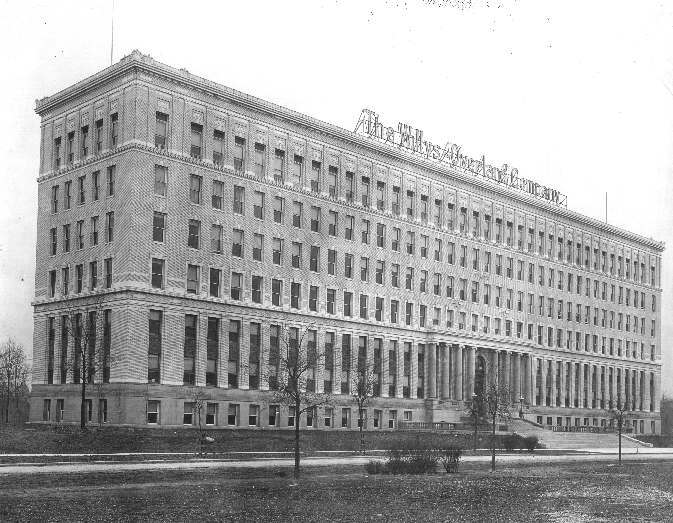 According to one period postcard when the building was complete, it was one of the world's largest industrial office buildings. 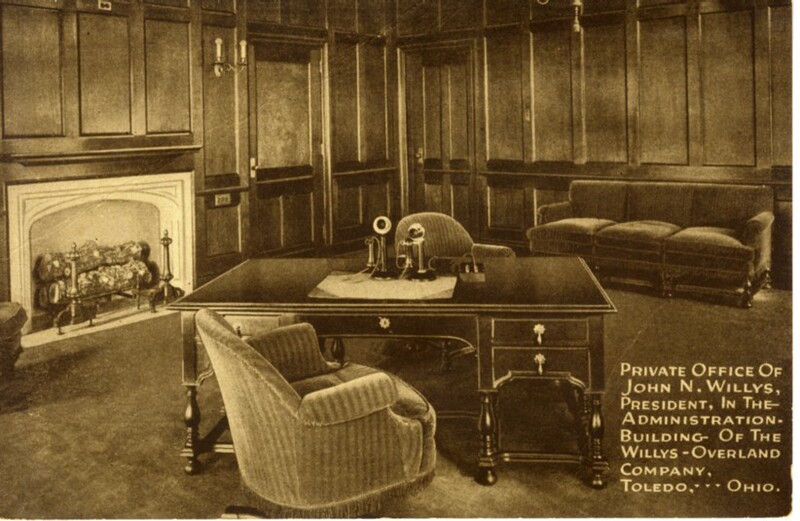 Of course, being the president of Willys-Overland in such a magnificent building required a grand private office. 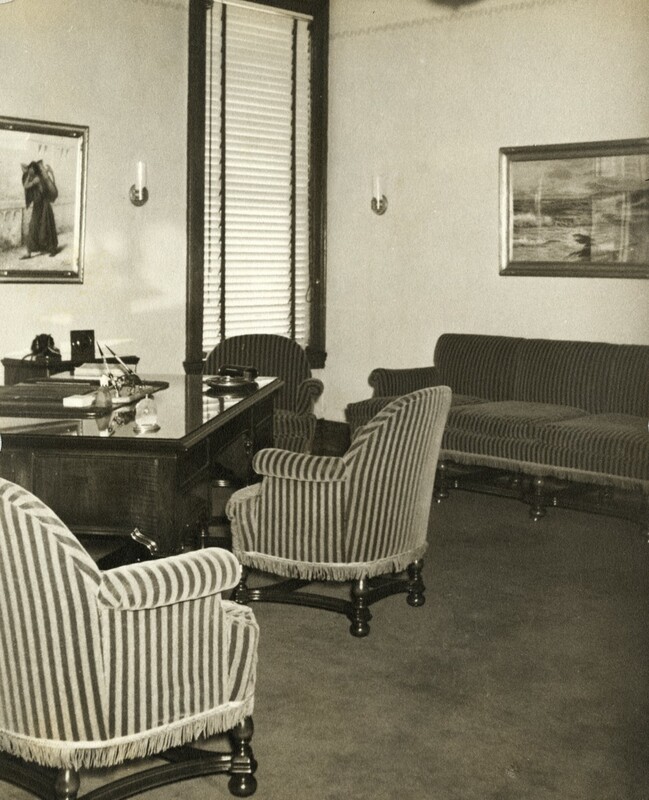 His office suite consisted of a large mahogany desk, 4 velour gray and black striped chairs (with mahogany legs and rails), a matching sofa, 2 sets of barrister book cases and an oil painting. Not one, but TWO state of the art telephones were installed in the office. 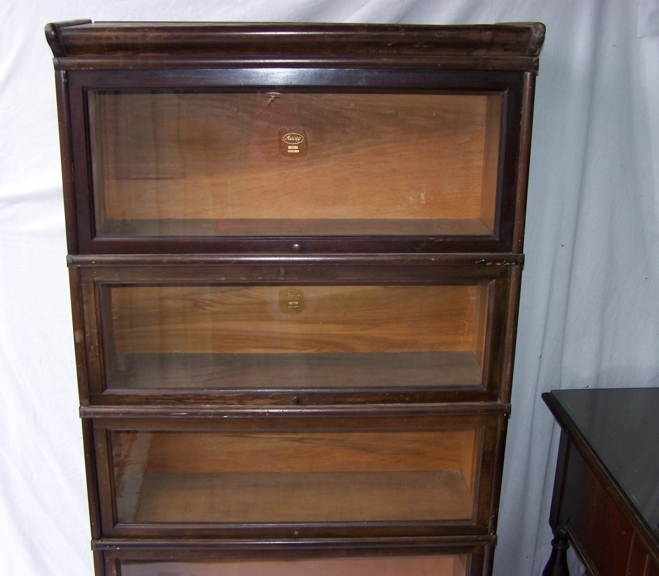 One is a Western Electric and the one on the right a Stromberg Carlson. If desks could talk, it would be interesting for it to tell the tales for the next 2 decades as the fortunes of the company ebbed and flowed. The desk witnessed a lot of the history of Willys-Overland. The visitors to discuss the wheeling and dealing that Mr. Willys was famous for. The hours spent trying to keep the company afloat. 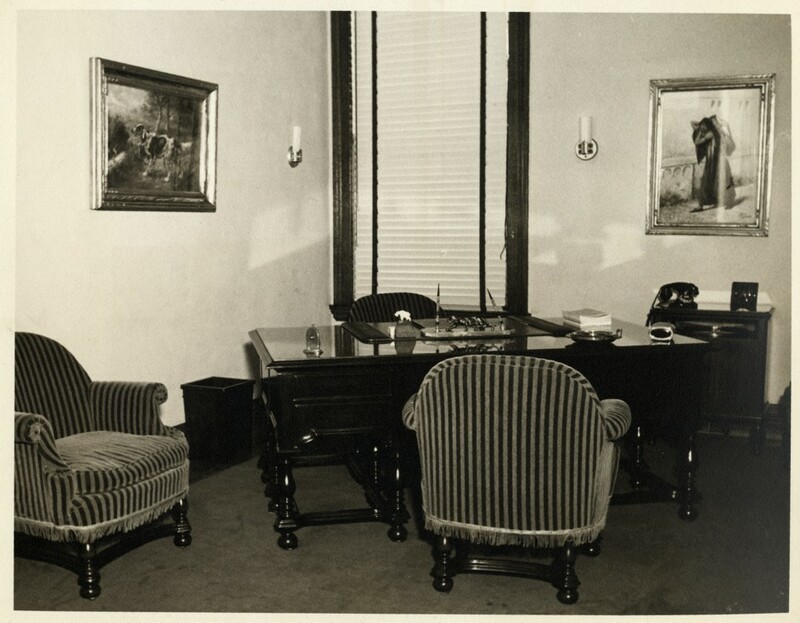 Around 1935, this office suite was obtained by William Higley. 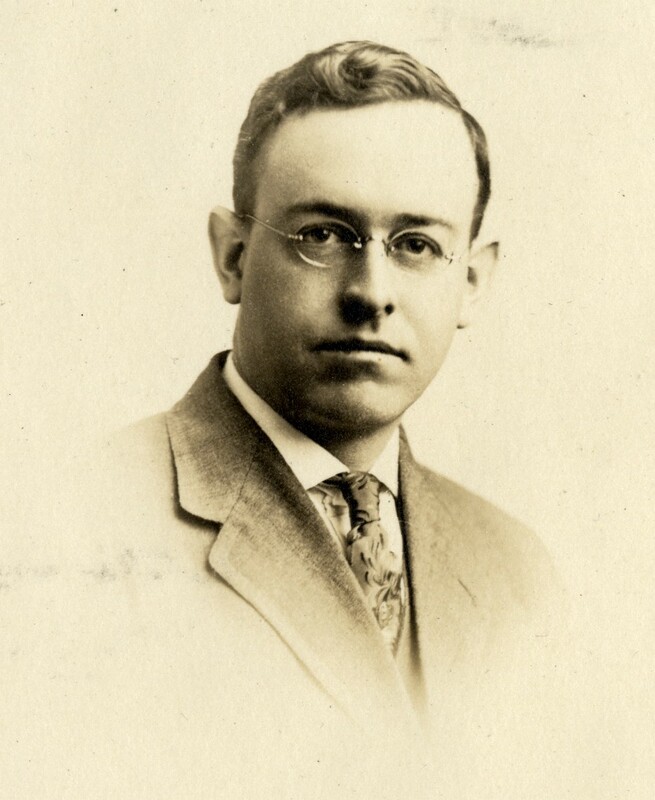 Mr. Higley was hired by Willys-Overland in 1914 to become the compensation manager. In that capacity, he was the man who was the arbiter in most cases where the Overland Company paid compensation to employees unable to work because of illness or injury. Because Mr. Higley had an instinctive talent for giving fair decisions, he made many friends. They recognized that Mr. Higley knew law and that he had sound common sense and they came to him with their domestic problems, their landlord difficulties and for just plain everyday advice. How he obtained the office suite is not exactly known. One theory is that he obtained it in lieu of payment for some law work. Around this time Mr. Willys was working on a plan to lift Willys-Overland out of bankruptcy. Unfortunately he suffered a heart attack and died in August 1935. 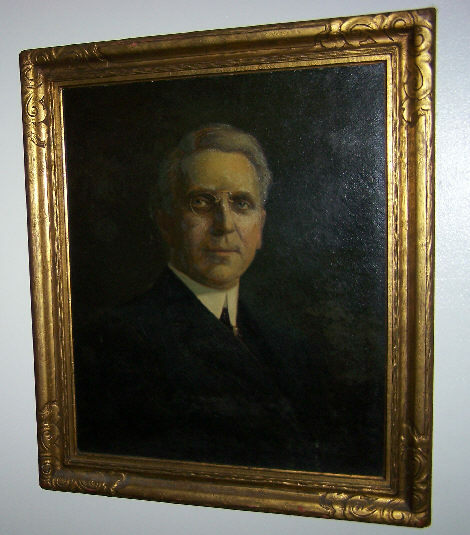 Around October 1935, Mr. Higley opened a law office specializing in industrial law and worker's compensation in Toledo. 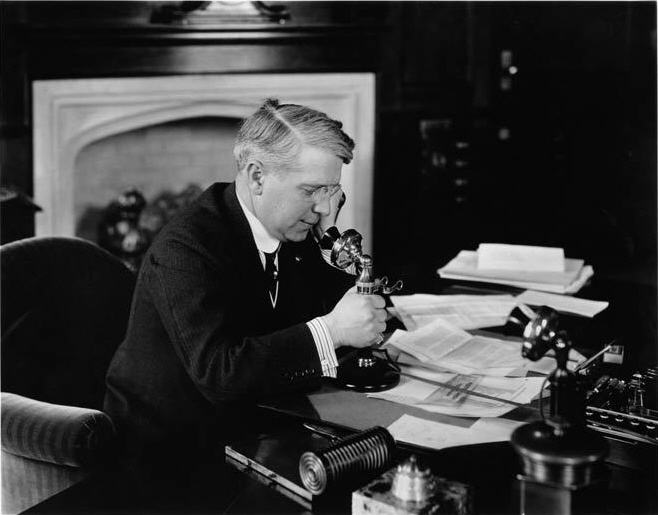 For his own office, Mr. Higley used John North Willys' office suite. The day it was moved in was a very special day and photos were taken during the event. Mr. Higley was proud of the furniture. He continued to use the office suite for some time and retired, but the office continued to function as a law office. In 1956 he passed away. In 1964, Mr. Higley's wife Ann dies and leaves the office suite to William Higley Swan, who moves it to Bridgewater, NJ. In the 1970's, a flood unfortunately occurs when a basement window is left open and the chairs, which were in the basement, become damaged and could not be repaired so they were thrown away and taken to the dump. In 1979, William Swan's wife Barbara moves to Barrington, RI and then to Cincinnati in 1984. Her son James Swan is given the office suite (minus the sofa) in 1991 and it moves Greenwich, CT. It moves to New York City in 1996 for 6 months and then moved back to Greenwich, CT. In 1999, they move to Stamford, CT. 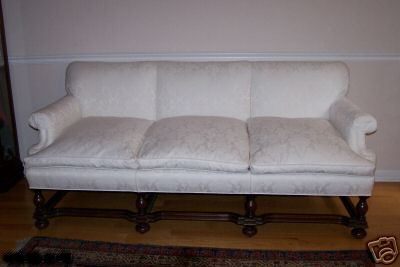 In August, 2005, Barbara was downsizing their furniture and decided to sell the sofa on ebay. I saw the photo and recognized the distinctive legs from a set of postcards that were done around 1915 when the Administration Building was completed. I asked some questions and she explained the history and it was owned by a business partner of Mr. Willys, William Higley. I had an old internal Willys-Overland phone book and found him listed as the compensation manager. After comparing it with the postcard, it was definitely the same one. I was the only one who bid on the sofa and I won the auction. When I picked it up I asked about the desk. She said her son had it and a oil painting of Mr. Willys. 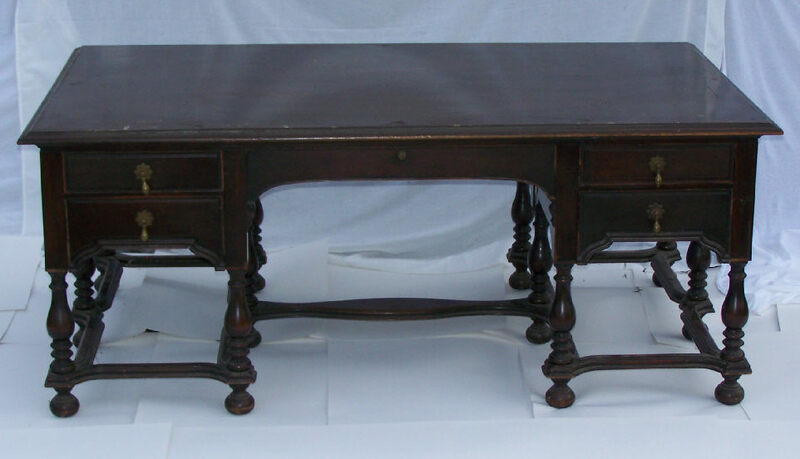 She gave me his email address and I asked James if he was interested in selling the desk and the oil painting. 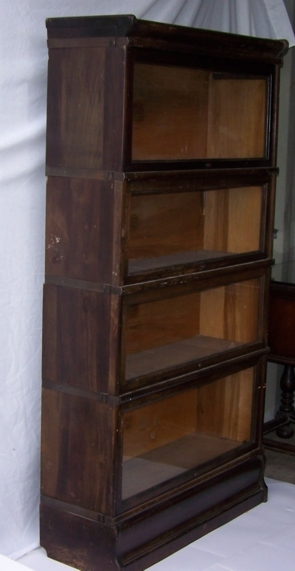 He said he also had the bookcases, but he wasn't ready to sell them yet. In 2010, I contacted him again and we worked out a deal. Future plans are to figure out the best way to restore and fix some minor damage to the desk.